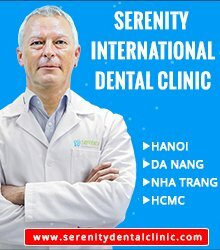 At 5 o’clock in the afternoons in Saigon, the sun falls behind new high-rise apartments in China Town and the dusty suburbs to the west, before dissolving into the smog that surrounds the city. 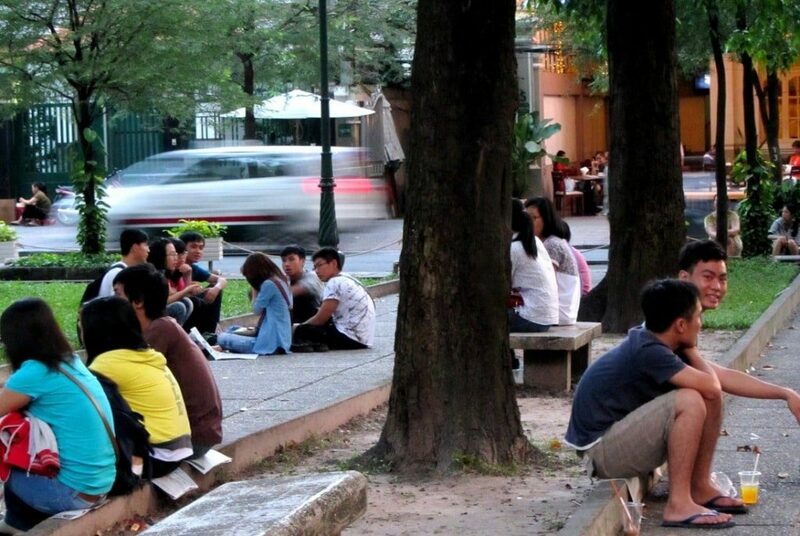 High schools and universities disgorge their students into the busy streets. 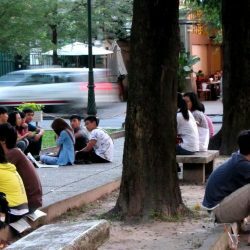 Dusk is one of the coolest times of day, and many of these students head straight for one of Saigon’s few parks to enjoy the (relatively) fresh air, and celebrate the end of another day’s academic pursuits by gossiping among friends. 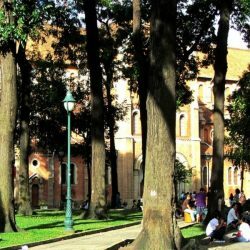 The city’s green and open spaces are thronged with the young and the beautiful; nowhere more so than around Notre Dame Cathedral in central District 1. Street vendors set up stalls selling snacks and coffee, which students consume sitting on the grass: this is Cà Phê Bệt – literally ‘coffee on the flat ground’. 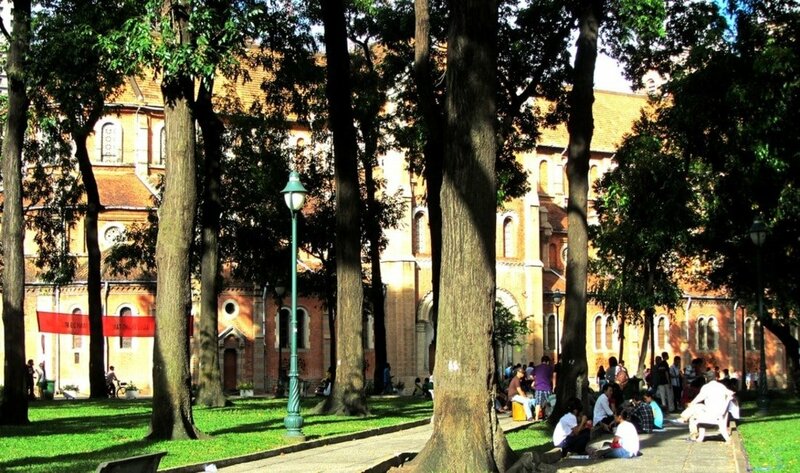 From sunset till late at night, hundreds of 16 to 24 year-olds in smart-casual attire, gather under the big tropical trees of central Reunification Park, in the shadow of Notre Dame. 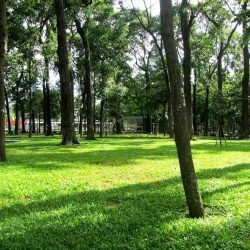 The park is criss-crossed with concrete walkways through the grass and bisected by two of Saigon’s busiest roads – Lê Duẩn and Pasteur. 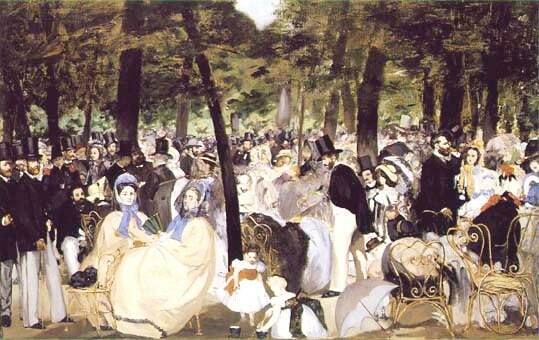 Only a handful of benches line the walkways and these are inadequate to accommodate the crowds. 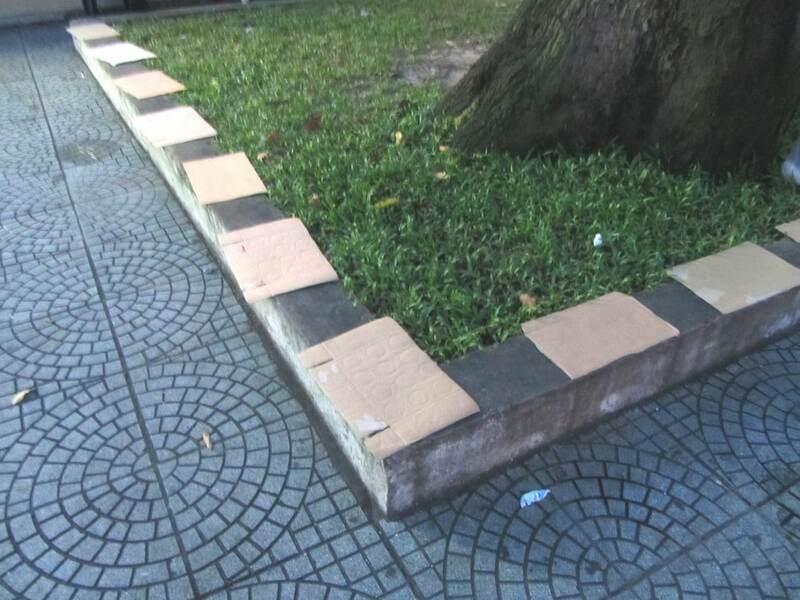 Instead, students lay newspaper or cardboard on the grass or bare concrete. 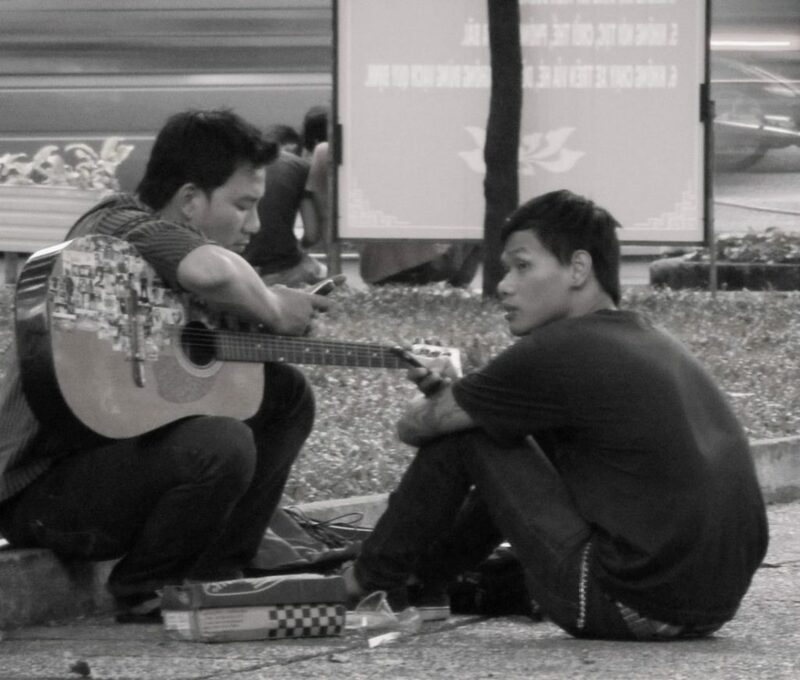 They sit in groups – small and large – talking and laughing constantly, some playing acoustic guitars, others singing; their songs occasionally penetrating the incessant roar of engines that characterizes Saigon’s rush-hour. At the centre of each group there’s an assortment of take-away food and drink: sweet Vietnamese iced coffee and tapioca ‘pearl tea’ in plastic cups, dried and grilled squid, crispy-grilled rice paper wraps, fried skewers of okra, quail eggs and fish balls; all eaten off polystyrene trays smeared with chilli and hoisin sauce. 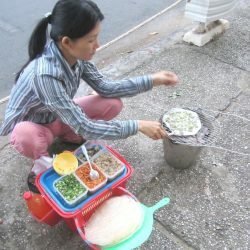 Vendors work busily on the sidewalk to keep up with demand, while ice cream sellers on bicycles meander through the park looking for customers; the ‘ice cream jingle’ blaring out of speakers and played on a continuous loop. There’s not a drop of alcohol in sight. 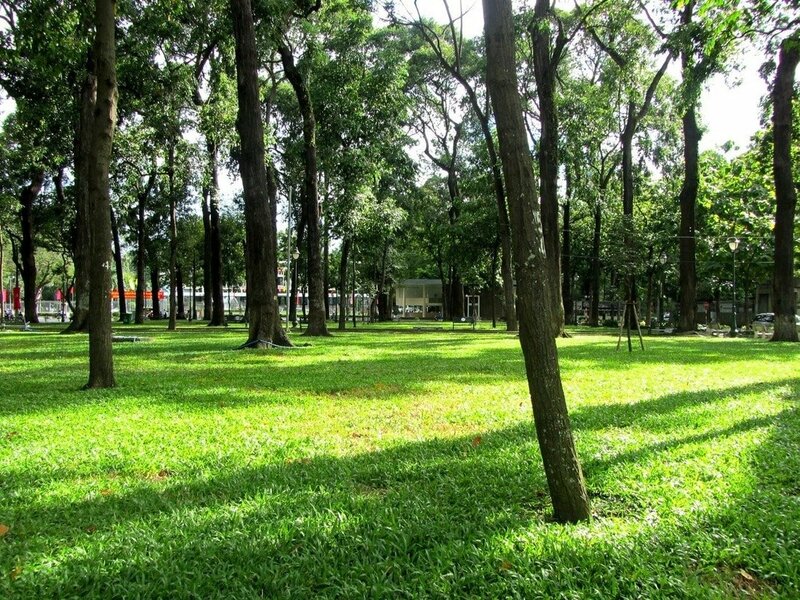 The park shimmers with excited youth: Cà Phê Bệt should be listed as an ‘attraction’ in guidebooks. 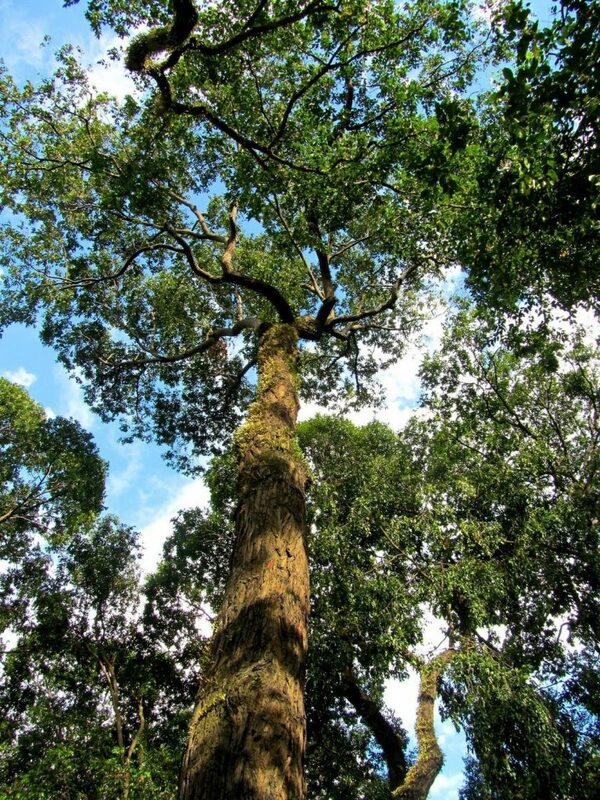 It’s wonderful to witness and there’s something reassuring about it. 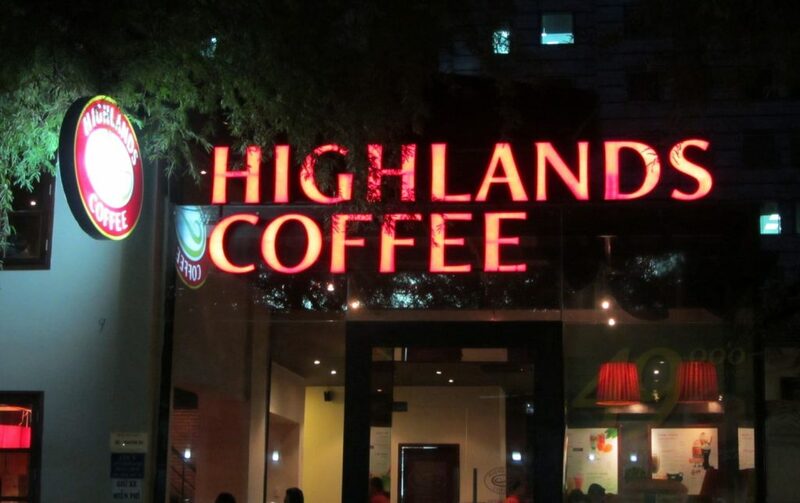 It’s very Vietnamese, very local, but also familiar, almost bohemian. 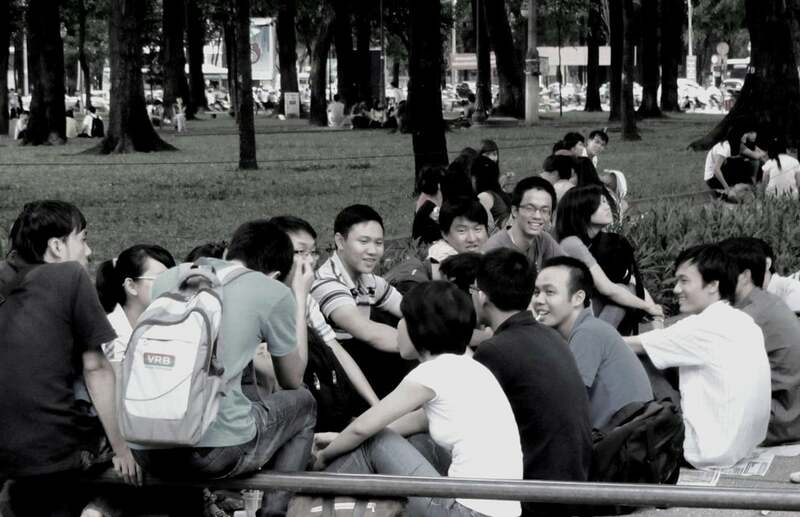 It’s a chance for Vietnam’s exploding youth to interact; away from the eyes of teachers in classrooms, professors in lecture theatres, parents at home, and other social constraints which are the legacy of centuries of Confucianism and a generation of Communism. 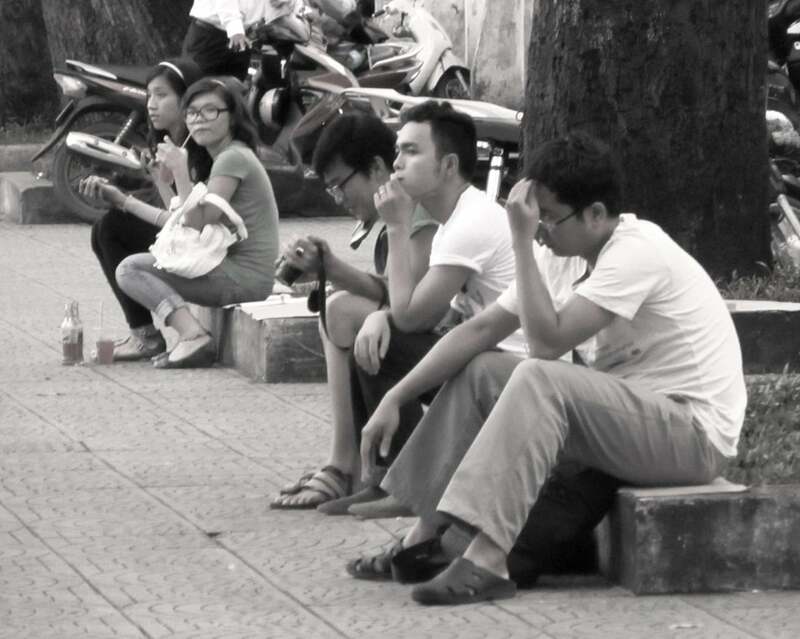 In the early 21st century, Vietnam is a very young nation – over 50% of the population is under the age of 25. 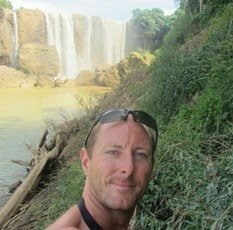 They are known as Generation 8X, meaning that they were all born in the 1980’s or later, with no recollection of the wars, economic stagnation or political isolation of the past. 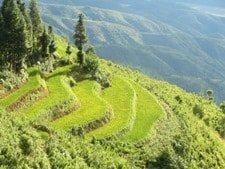 To the 8X generation, Vietnam is a rapidly industrializing nation, increasingly involved in world affairs, familiar with Western values and culture, and (for the most part) optimistic about the future. 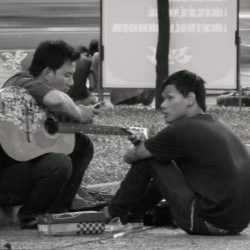 To witness Cà Phê Bệt as an outsider, it seems to be an expression of the optimism and youth of this generation. 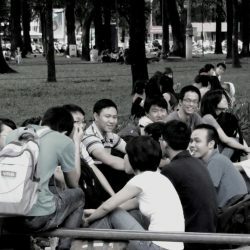 There’s an infectious buzz that makes you wish you were a part of the excitement and youth of the students sitting in the park. 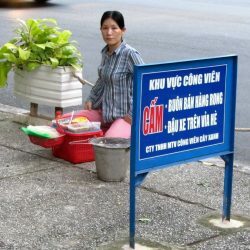 Indeed, one of the great things about Cà Phê Bệt is that you can easily join in the fun: just buy a drink and a snack from one of the vendors, lay down some newspaper and take a seat on the ground. 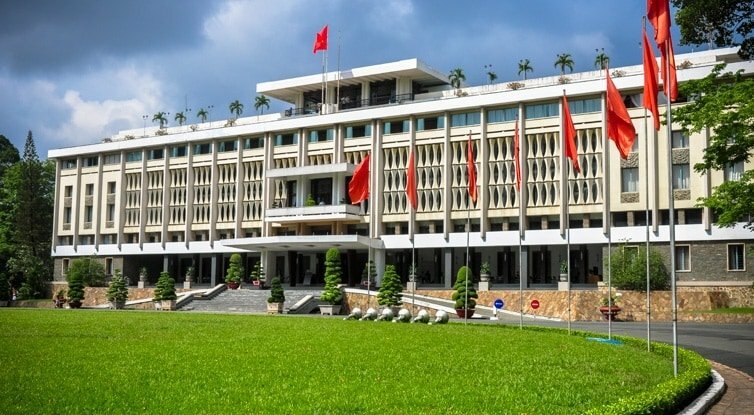 At one end of the park is the famous Reunification Palace, formerly the residence of the president of South Vietnam. On April 30th 1975, North Vietnamese tanks smashed through the gates, bringing an end to the north-south war. 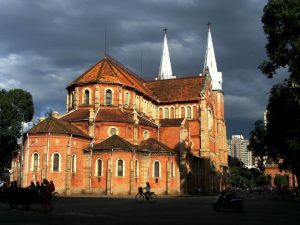 At the other end is Notre Dame Cathedral, built in the 19th century, during the early years of French colonial rule. 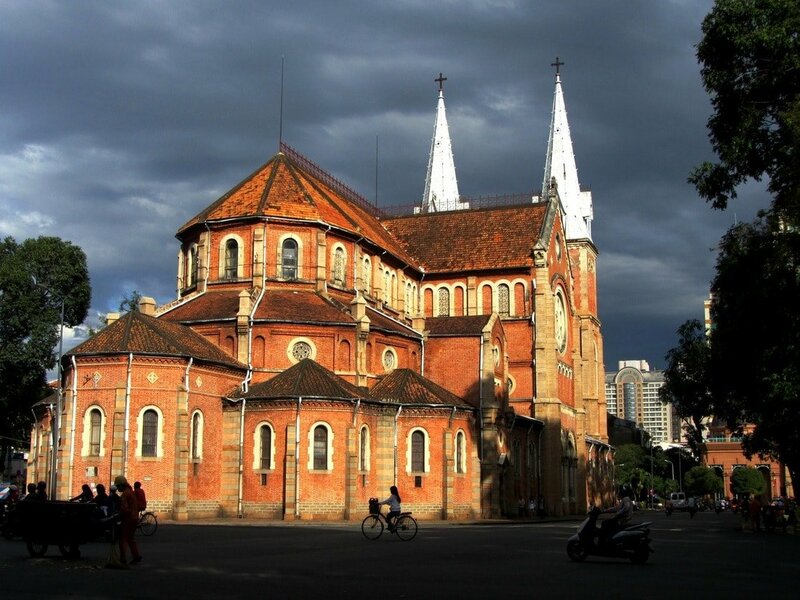 Today, it sits in the middle of Công Xã Paris – Paris Commune Plaza – named (in 1975 by the victorious Communist North Vietnamese) after the brief uprising and rule of left-wing, worker-oriented factions in Paris, in the spring of 1871. 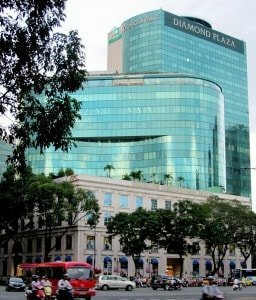 Opposite the cathedral is Diamond Plaza, which is one of Saigon’s glitziest shopping malls; home to expensive brands such as Burberry and Rolex. 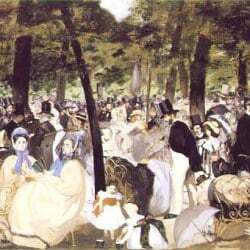 Watching the crowds of fashionably dressed youth arriving in the late sunlight to the park, forming groups on the grass under trees, I’m reminded of how the Tuileries Garden in Paris was depicted in the 19th century, by artists such as Renoir and Manet. The students are not supposed to be sitting on the grass, and the vendors are not supposed to be selling food and drink on the sidewalk. Big red signs announce the ‘Rules of the Park’ which state this clearly. Police occasionally ride by on their big motorbikes to break things up: vendors take flight and a loud, sarcastic cheer goes up from the groups of students, as they realize that their fun is over for the night. 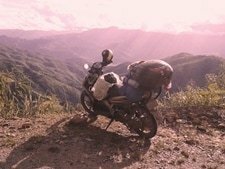 The first time I heard that cheer, it did feel – in politically repressed Vietnam – very rebellious. 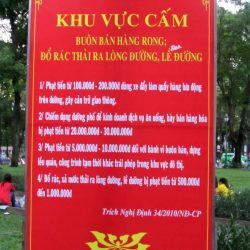 The reason Cà Phê Bệt is frowned upon by the authorities is that it disrupts pedestrians walking through the park and, sadly, many of the students neglect to take their rubbish away with them, leaving an unsightly mess of polystyrene and plastic cups strewn over the grass. 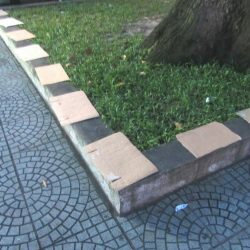 In the past, students rode their motorbikes and bicycles up onto the sidewalk and into the park, or left them by the side of the road, causing traffic congestion. 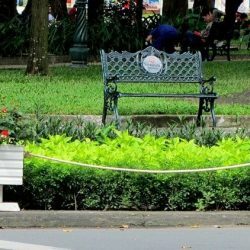 The Saigon authorities countered this with an elegant solution: they set up barriers around the perimeter of the park; disguising them as street vegetation by linking dozens of flower baskets at regular intervals with a white chain at knee height. The area around Reunification Park is as central as you can get. It’s a smart and expensive part of the city with French restaurants, Haagen-Dazs stores and designer clothes outlets – it’s not supposed to be a place where skint students eat and drink cheap street food while singing along to beat-up old guitars. 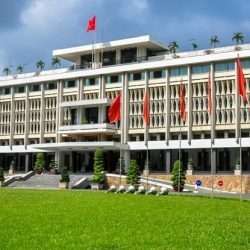 However, such is the popularity of Cà Phê Bệt in this spot that the police generally turn a blind eye and avoid confrontation, preferring a passive-aggressive approach instead, like the disguised barriers. Men in uniform parade around the groups of students, charged with upholding the Rules of the Park, but they look bored and uninterested. Whatever the tensions between the city authorities and the students enjoying Cà Phê Bệt in this area, there’s little doubt that the youth sitting on the ground in Reunification Park have very different ideas, values and expectations for the future than their parents and, I expect, the local government – the vast majority of whom are of the older generation. 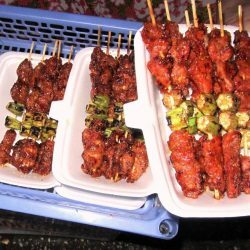 Cà Phê Bệt is beloved by students because it is cheap and easy, which should also suit the backpacker, or budget traveller. 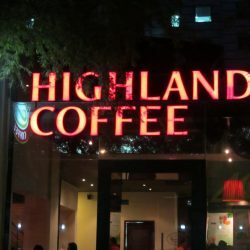 But, it can also be enjoyed the expensive way by getting your coffee and snack to take away from any of the nearby smart food outlets. 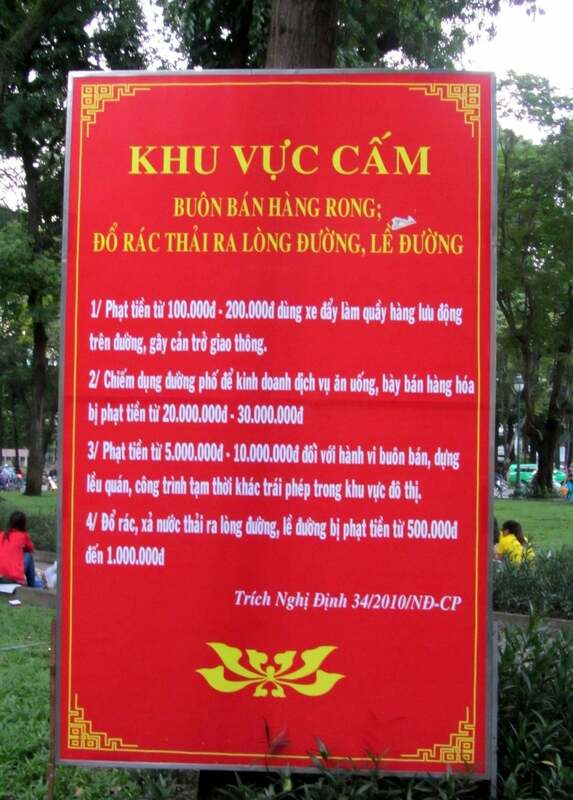 Cà Phê Bệt can cost as much or as little as you like: Do as the students do and buy iced Vietnamese Robusta coffee and sweet ‘pearl tea’ from the vendors on the sidewalk for 5-10,000VNĐ ($0.25-$0.50). 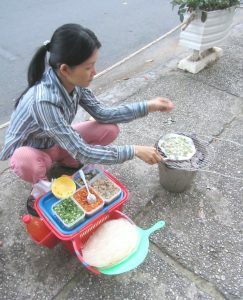 Add a savoury snack, such as shallow-fried skewers of meat and vegetables, or grilled, crispy rice-paper wraps, for 10-20,000VNĐ ($0.50-$1). 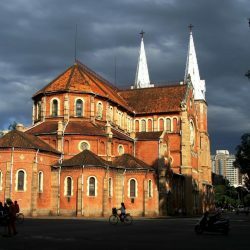 MAP: Reunification Park and Notre Dame Cathedral; Paris Commune Plaza (Công Xã Paris), District 1 – This is where I consider the heart of Cà Phê Bệt culture to be. 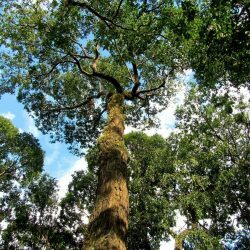 It’s right in the centre of town where all the city’s action is: traffic, tourists, shopping malls, restaurants, historic French colonial buildings, national monuments, and the park itself, which is a big, green and tree-studded patch that hums with youth. MAP: Hồ Con Rùa (Turtle Lake); Công Trường Quốc Tế traffic circle, District 1 – Not far from Reunification Park and still within sight of Notre Dame Cathedral, this traffic circle has been a popular hangout for many years. 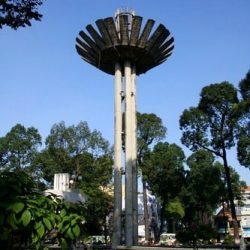 At the junction of Trần Cao Vân and Phạm Ngọc Thạch streets there’s a rigid, concrete sculpture in the form (with a little imagination) of a Lotus flower – a national symbol of Vietnam. 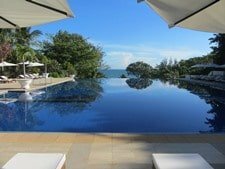 There are steps up to the ‘stem’, and on the lower levels there are concrete walkways raised over a pool of water. 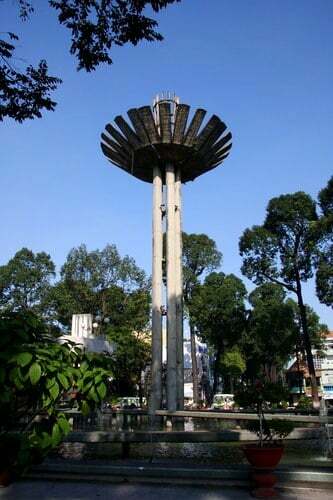 A fountain (if it’s working) sprays moisture into the air which cools the temperature. The site is known as ‘Turtle Lake’ because there was once a sculpture of a turtle (symbolizing wisdom) here, but it was blown up in 1975. Vendors are everywhere; try the famous homemade coconut ice cream at Kem Công Trường. MAP: Thủ Thiêm Bridge; Bình Thạnh District – This new bridge – linking the busy district of Bình Thạnh with the quiet, but soon-to-be-developed, District 2 – was completed a few years ago, and has since become a popular place for Cà Phê Bệt. The bridge sees little traffic in the evenings, and the sidewalks are wide enough to put a blanket down and have a seat. 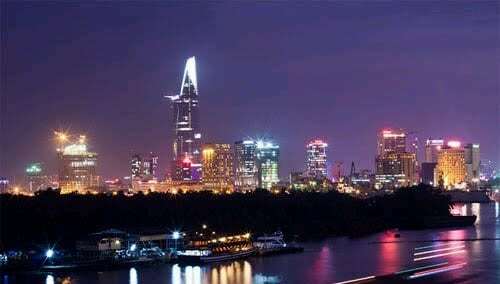 The air here is much cooler than in the city streets, and the bridge offers some of the best views of Saigon. 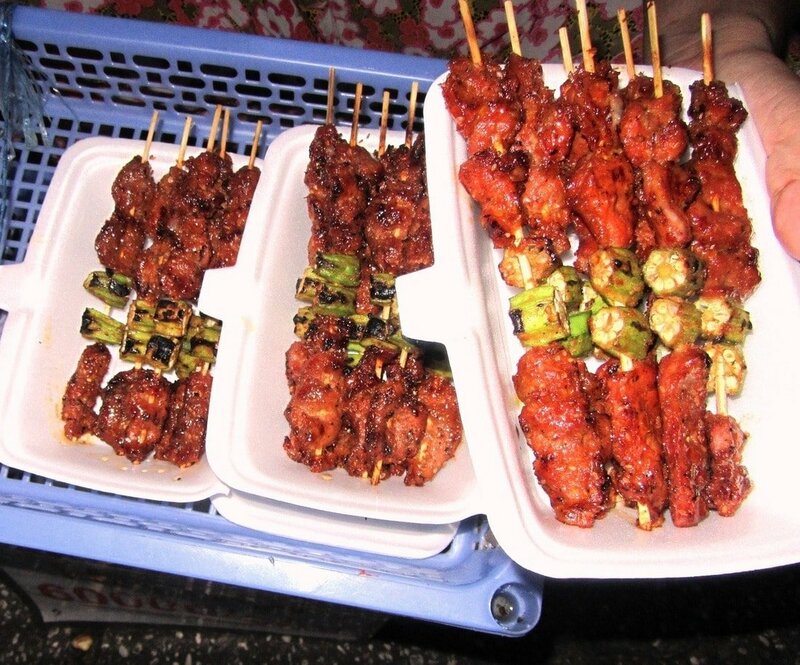 There are a handful of street vendors, but they are often chased away by the authorities, so it’s best to bring your own drinks and snacks. MAP: Thủ Thiêm Tunnel exit and East-West Highway; District 2 – The tunnel under the Saigon River was seven years in the making. 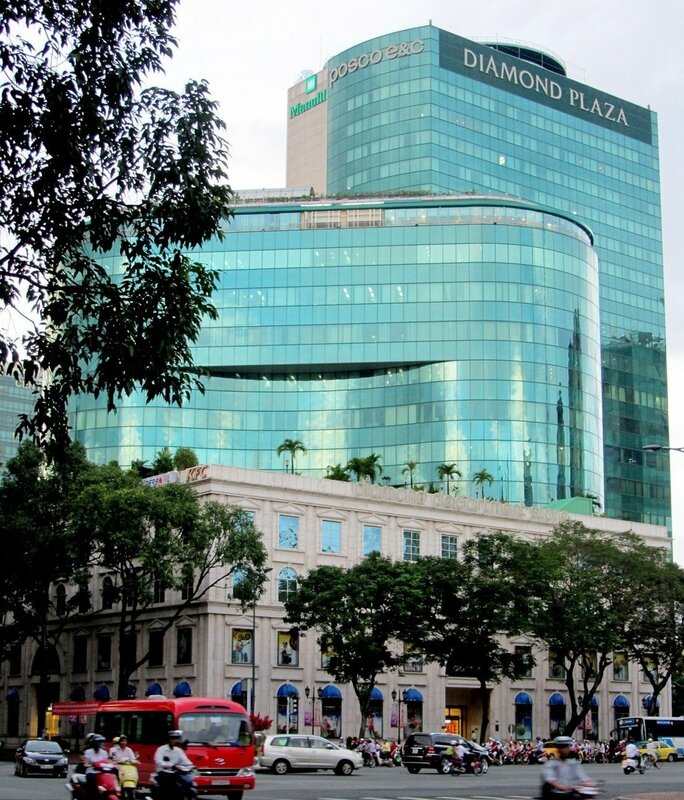 It’s eased the flow of traffic in and out of the city and paved the way for the development of District 2. 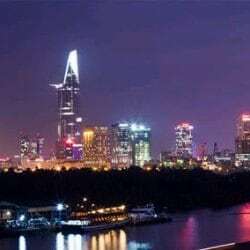 It’s also created a new location for Cà Phê Bệt with great nighttime views over the city: Take the tunnel from District 1 to District 2 and turn right immediately after the tollgates on the District 2 side; this takes you back on yourself until the road meets the river. 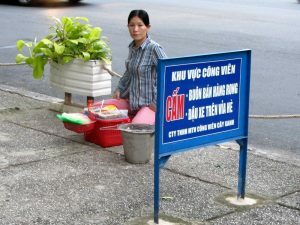 A few vendors sell drinks and snacks here while young Vietnamese (mostly couples) enjoy the breeze off the river and watch the city lights over in District 1. 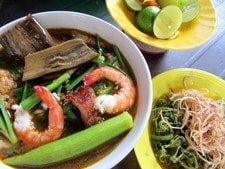 Even if you go straight through the tollgates and continue on the East-West Highway there are still good views back towards the city, and the road is lined with groups, couples and families enjoying Cà Phê Bệt. 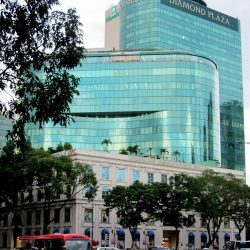 This entry was posted in ALL, Cultural, DESTINATIONS, Drinks, FOOD & DRINK, Off Beaten Path, Saigon, The South and tagged ca phe bet, cafes, coffee, drinks, guide, Ho Chi Minh City, Saigon, Vietnam. Bookmark the permalink. 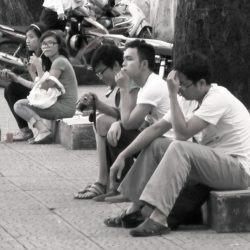 “Ngồi bệt” or “sit on the ground” is part of Vietnamese “culture” – we do it a lot at home, especially when having a drinking session with friends. There is some sense of casual and being open with each other when you do that, or we simply dont have enough tables & chairs :).